Data hold function to freeze the digital trip time display allows for easy readout and eliminates the possibility of reading error . Model No : DT-906A . 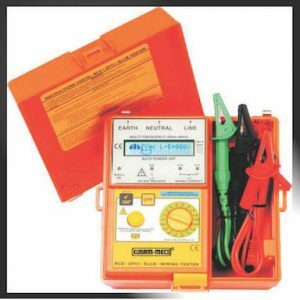 Measures Voltage & Frequency between Line & Earth before testing. 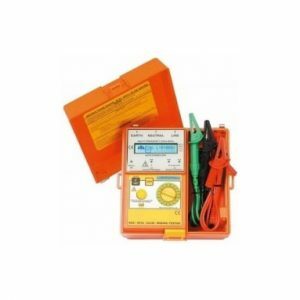 Safety: EN 61010 – 1 CATIII 240V. Accurate Digital readout at disconnection time. Custom microprocessor controlled for highest accuracy and reliability. 3 LEDs for checking correct wiring status. 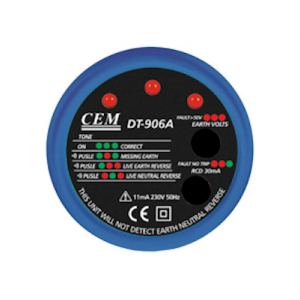 0 and 180 degree phase angle switch permits quick tests and consistent readings. Digital read-out of tripping time. 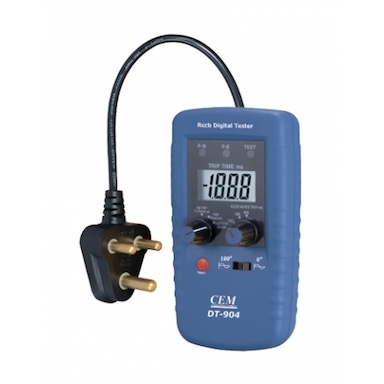 Constant current source circuitry ensures that a fluctuating mains voltage does not affect the accuracy of readings. Large custom digital display readout. Visual indication of reversed phase and neutral wiring at socket. 0 TO 180 DEGREE PHASE ANGLE SWITCH PERMITS QUICK TESTS AND CONSISTENT READINGS. Advanced Anti-Trip Technology(ATT) to avoid RCDs to trip during loop testing. Auto test (RCD Measurement):Auto test enables complete testing of RCD (6 tests) while you simply stand by and reset the RCD. All the results are displayed on one screen. No need to scroll. 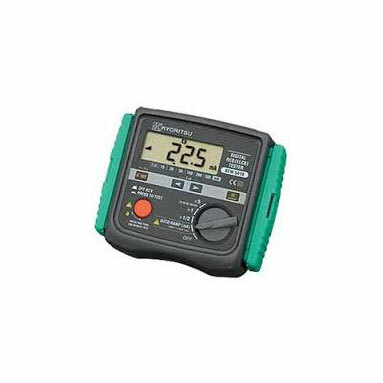 Loop Impedance rated voltage (L-PE, L-PE (ATT), L-N / L-L) :100 to 500 V.
The stored data can be transferred to PC via Optical Adaptor Model 8212-USB or 8212-RS232C. Triple ranges insulation tests at 250,500 and 1000V. Trip Current Duration:RCD × 1/2 × 1: 2000ms RCD fast: 50ms.